June 25, 2018 – The squad for the Great Britain Bulldog’s fixture against the Netherlands has been named, with ten players in line for their GB debut including Glasgow Sharks star Liam Dolling. Dolling’s form for the Glasgow Sharks has been rewarded with a call-up to the Bulldogs squad for the fixture, which will take place on the 25th August at Motspur Park, London. In just four appearances this season, Dolling has kicked 28 goals Sharks as they top the AFL Scotland Premiership. Other players set to make their debut are Joe Lloyd & Hugo Phillips (Wandsworth), Sam Killoway (North London), Calumn Arthur Newman (Cardiff), Rob Goliah (Nottingham), Adam Reed & Rhys Lincoln (Wolverhampton), Adam Kelly (Manchester) & James Clayton (Huddersfield). North London Lions player Ross Denton has been named GB Bulldogs captain for the first time. He said that the match will be a great opportunity for the players to get some game time together. Head Coach Dean Thomas has opted for a mix of experience as well as introducing new faces in the squad, with GB leading goal-kicker Andy Walkden (pictured above) once again named in the squad. 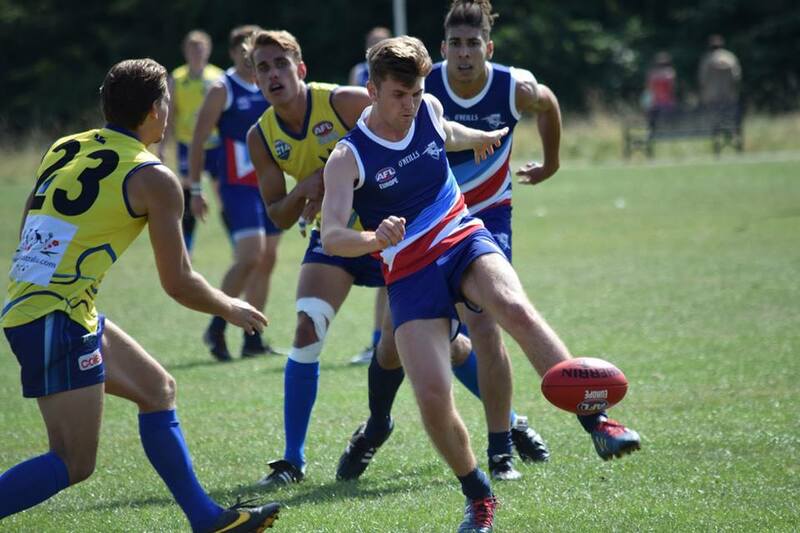 Walkden kicked 15 goals at the 2018 AFL International Cup, scoring in every game including a six-goal haul against Ireland. Only a fortnight ago, in his first outing since returning from a pre-season knee injury, Walkden kicked nine goals for the Manchester Mosquitoes in their victory over the Merseyside Saints.